Automated float management for supermarket back office. 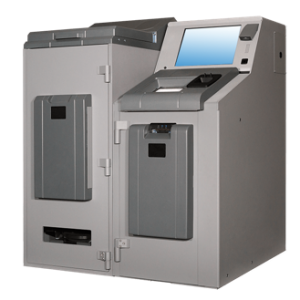 The system enables full recycling of coins and notes, operator identification, and securing of cash. It has a complete cash management interface built-in.